I am constructing a fragmented photo portrait of Wayland Rudd and his wife. The photo fragments are printed on envelopes, which travelled through the mail - sent back to me by participants. This idea was inspired by the images of postage stamps in the Wayland Rudd collection - particularly the Nelson Mandela stamp. 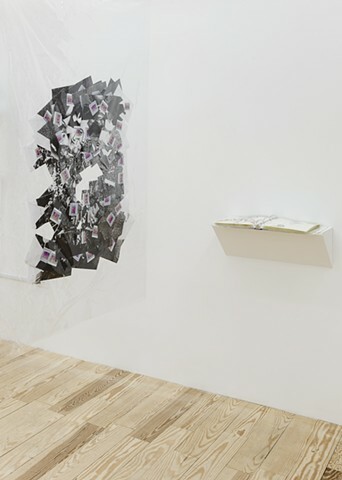 Suzanne Broughel is a multi-disciplinary artist based in New York. Her work has been exhibited at P.S. 1/MOMA, Marlborough Gallery, The University of Memphis, RushArts Gallery, and Longwood Art Gallery, among other spaces. She was a 2008 participant at Skowhegan School of Painting and Sculpture, and included in the Emerge 8 Program at Aljira Center for Contemporary Art. Broughel is the recipient of fellowships from the New York Foundation for the Arts and A.I.R. Gallery, and was a resident artist in the 2010 Triangle Artists Workshop. Broughel is a member of the tART feminist art collective.